We organise private day excursions from Marrakech to a variety of locations. Our Day Excursions are an excellent way of getting a taste of the scenery and way of life of the Berber people who live in the Atlas Mountains and the Ourika and Ourigan Valleys. We pick you up from your accommodation in the morning and then return you there late afternoon or early evening. As our Day Excursions are private – we do not combine groups - they can be adapted to suit your interests, time available and fitness and can start on any day. To enquire about or to book a Day Excursion, complete our Booking Form in the Book a Trek section of our website. Prices depend on the number of people in your group – we cater for groups of any size from single travellers to large groups of 20 or more. Included in the price of a Day Excursion is transport, guide, lunch (a freshly prepared picnic or lunch in a Berber house) and mule (depending on the Day Excursion). Starting from Imlil (1740m), the main starting point for treks into the High Atlas, it is a circular walk along mule tracks and through the typical Berber villages of Tinerhourhine and Ikiss and Amskere where we will have our lunch. We will then return to Imlil via Aguerssioual along the valley of the Mizane. The walk is not difficult but includes the crossing of two passes, Tametert (2279m) and Aguerssioual (2260m) from where there are spectacular views across the Toubkal region. 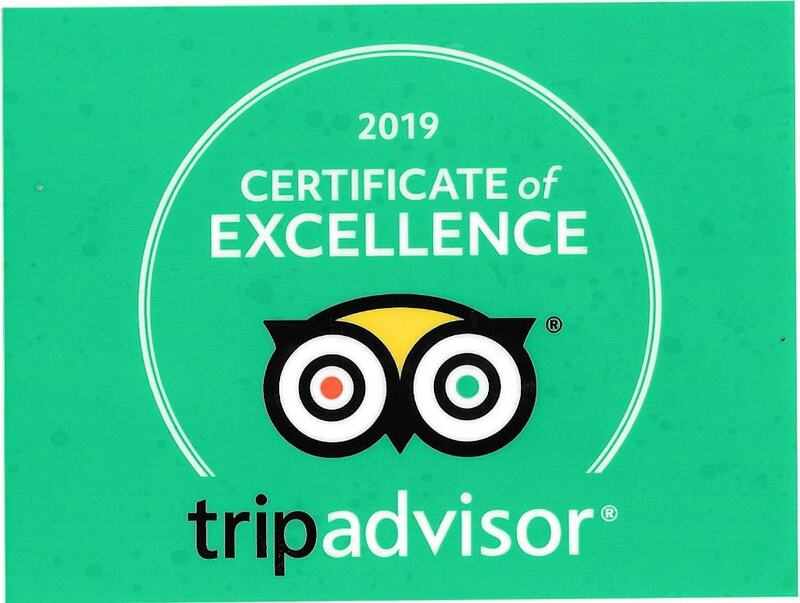 If you wish to spend the night in Imlil ( a busy market town with shops and cafes and a major trekking centre), we can arrange accommodation to suit your needs (hotel or gite). 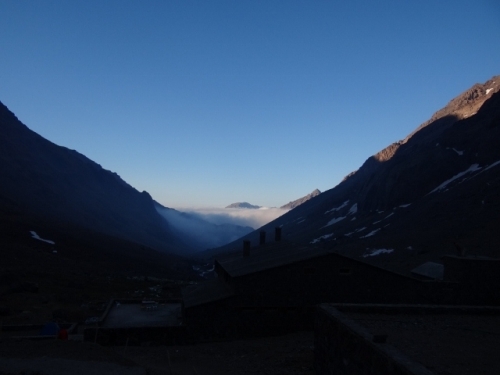 Alternatively you might wish to spend the night in the more traditional village of Aremd, a little further up the valley towards Toubkal. Here there is also the option of visiting the village hamman (steam bath) and walking along traffic free lanes and alleys, before enjoying a traditional meal in your guest house. This is an ideal Day Excursion for visitors who do not want to walk too far, but still experience the scenery and Berber way of life in the Atlas. The day includes transfer by taxi from Marrakech to Imlil with, on the way, the chance to stop to take photographs and, if it is market day, to visit a local market. Once arrived in Imlil we set off for along mule tracks for the hour or so walk to Aremd. 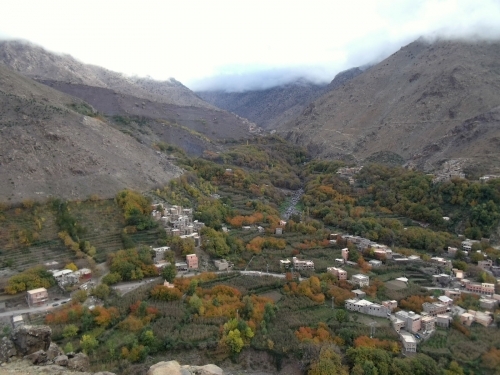 This village is the last village in the valley before Toubkal and from it there are magnificent views down the valley and up towards the summit of Toubkal. We have a picnic lunch and then set off back to Imlil where we have mint tea on a cafe terrace before returning to Marrakech. This is a more demanding Day Excursion, requiring an early start from Marrakech – or even better spending the night before in Imlil or Aremd. It is a long day but rewarding and takes you as far as the Toubkal Refuge. From Imlil at 1740m to the Toubkal Refuge at 4000m – a climb of 2500m – requires reasonable fitness, but is not technically difficult. The day starts in Imlil (or Aremd if you have stayed the night there) and is an uphill climb first to Sidi Chamarouch, a Muslim shrine frequented by pilgrims, where we have a stop. We then continue up to the Toubkal Refuge, with the summit of Toubkal above us. Here we have our picnic lunch before returning back down to Imlil for transfer back to Marrakech in the early evening. An alternative, if you have the time, is a 2 day trek which includes the summit of Toubkal. This is TREK J – details are in our Walking Treks section. For those who prefer not to walk, but who want to experience the scenery and Berber way of life, a guided tour is ideal and there is ample opportunity to stop to admire the views and visit places of interest. We leave Marrakech and head south, about 60 kms, towards Asni where on Tuesdays and Saturdays there is a lively market where we stop and look around. After lunch – picnic or in a restaurant – we continue our drive around the Ourigan Forest before eventually returning to Marrakech in the late afternoon. An ideal Day Excursion for those who prefer not to walk any distance. This is a day tour along the Ourika Valley, south east of Marrakech. It is an excellent introduction to the countryside outside Marrakech and the Atlas Mountains and includes the famous waterfalls at Setti Fatma. The tour includes the drive along the spectacular Ourika Valley to Setti Fatma, with stops, to admire the views and visit Souk Tnine de l’Ourika which hosts a Monday market, other villages on the way and, if you wish, craft and antique shops. 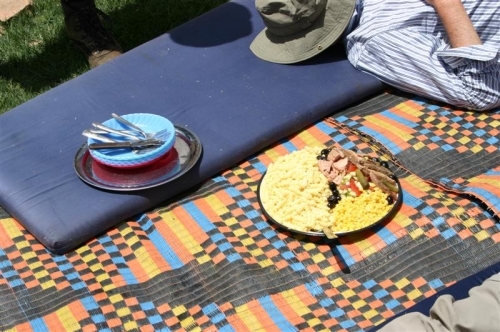 We have lunch – either a picnic or in a local restaurant in Setti Fatma, a riverside village with grassy terraces and good views of the surrounding High Atlas mountains– and visit the famous waterfalls, before returning late afternoon to Marrakech. We also cater for special interests & desert tours! List your requirements on our Booking Form.